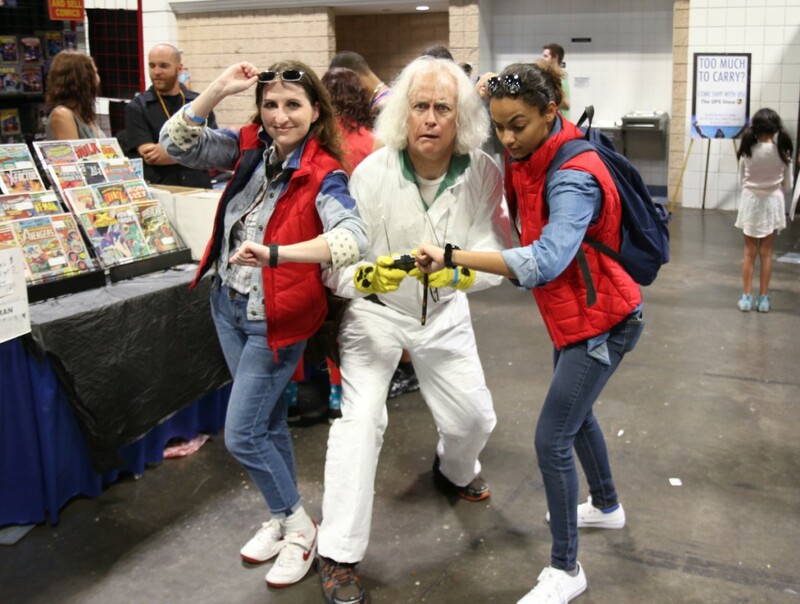 Saturday, August 1st, 2015 I did my first ever cosplay: a gender-swap/crossplay of a female Marty McFly (of course from the 1985 movie Back to the Future) and attended Tampa Bay Comic Con. This was also my first ever con too! I had such a fun time. 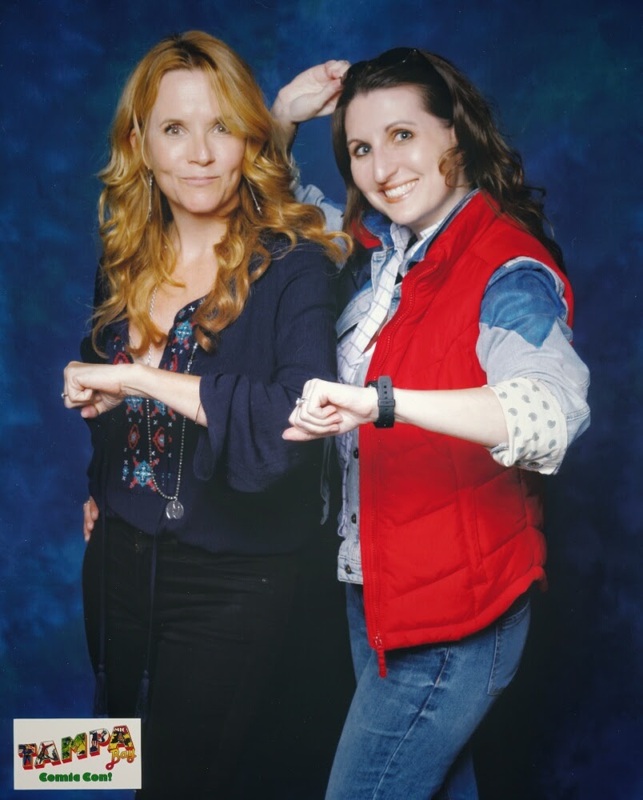 I also got to meet Lea Thompson, who played Lorraine Baines McFly – aka Marty’s Mom – who, in Back to the Future has the hots for her son, “Calvin Klein.” I had planned my costume months ago, long before I knew she was going to be there, so it was a fantastic opportunity! Lea Thompson (aka Lorraine Baines McFly from Back to the Future) with me in my female Marty McFly cosplay at Tampa Bay Comic Con, August 1, 2015. I even spotted Doc Brown! Doc, you’re my only hope! Great Scott! 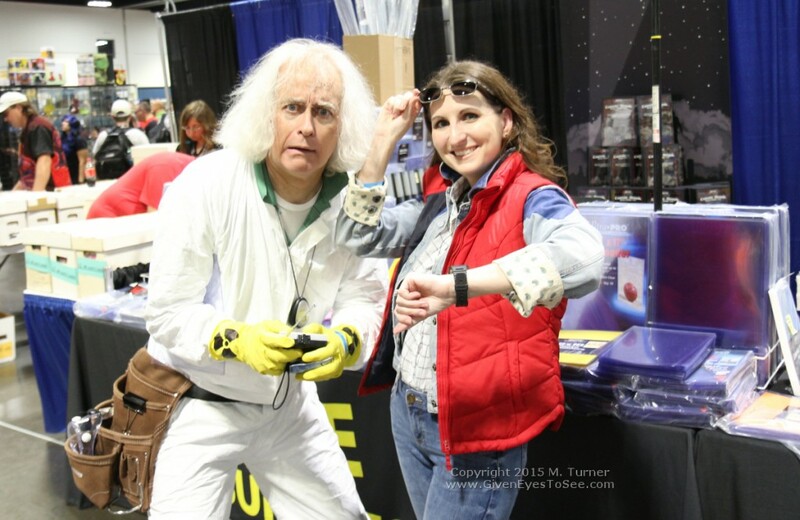 Doc Brown cosplayer with me as a female Marty McFly at Tampa Bay Comic Con, August 2015. 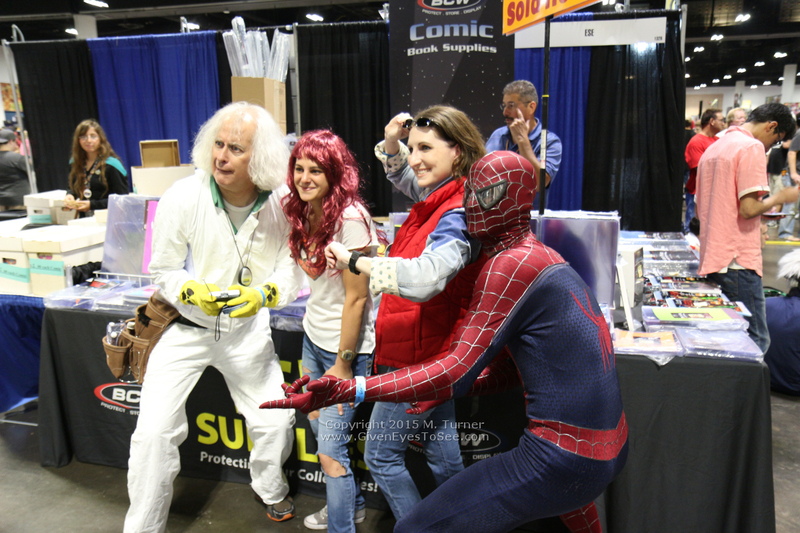 Doctor Emmet L Brown, Marty McFly and…Spiderman? At Tampa Bay Comic Con, August 2015. 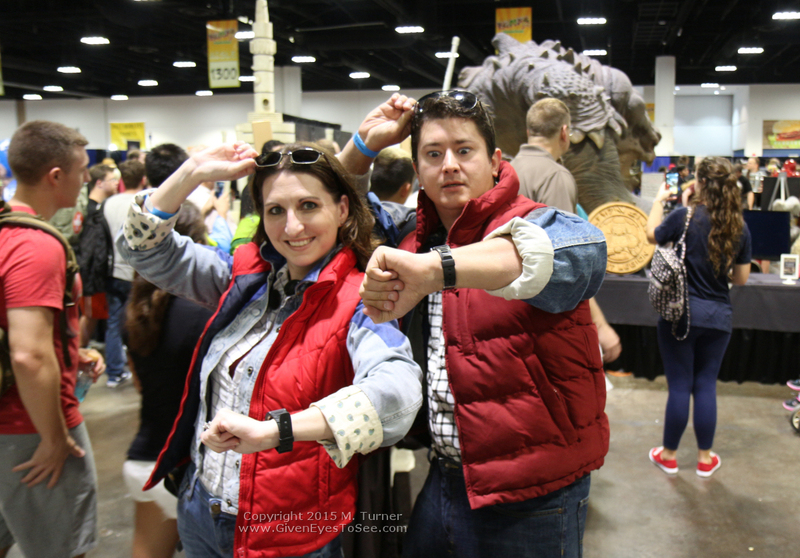 Marty McFly and…Marty McFly together at Tampa Bay Comic Con, August 1, 2015. Back to the Future was released in theaters exactly 30 years ago this year on July 3, 1985. 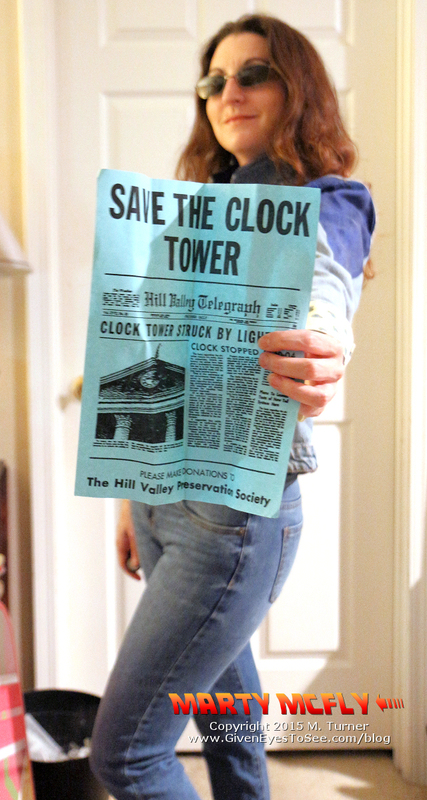 Plus, in Part II, Doc brings Marty to “the future” which is THIS year: October 21, 2015. 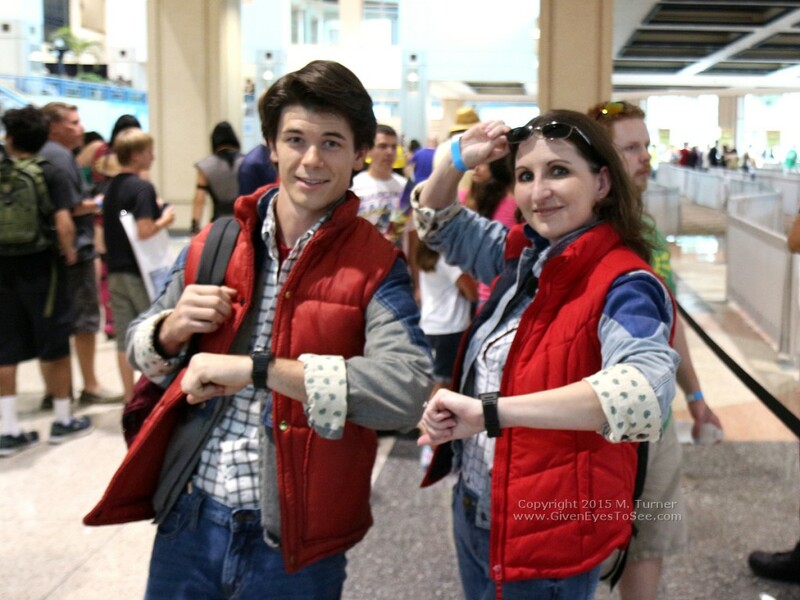 So when a few months ago, I decided I wanted to attend my first ever Con, there was only one character that made sense: from my all time favorite movie ever, Marty McFly! Marty McFly, Doc Brown and…Marty McFly! This is heavy. Tampa Bay Comic Con, August 2015. I’m going to do a separate post all about the process of putting together the costume because while it looks simple enough, there are a LOT of details and converting a 1985 man’s outfit to something a woman could wear 30 years later and trying to get all the details right, was harder than it appears. Look for that soon. But it was SO much fun and it’s hard not to have a good time when people tell you things like, “you are the most legit Marty I’ve seen!” 😀 If you get a chance to attend a Comic Con, do it! And, have fun with it and cosplay too! Don’t be afraid of being “silly” or “embarrassed.” Everyone there is there because they also love the same things you do and they will appreciate your enthusiasm and dedication to your fandom.